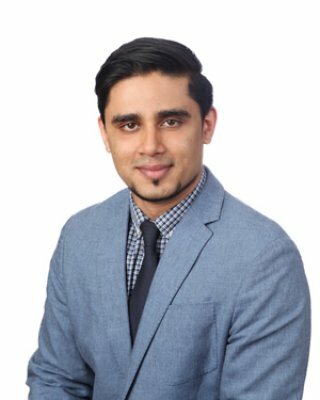 As a Senior Analyst, Consumer and Mobile Research, Manish is responsible for conducting insightful research and analysis of Canadian Consumer services and technology markets. Manish delivers continuous intelligence services (CISs) relating to both mature and emerging consumer technologies with a focus on usage trends and adoption. 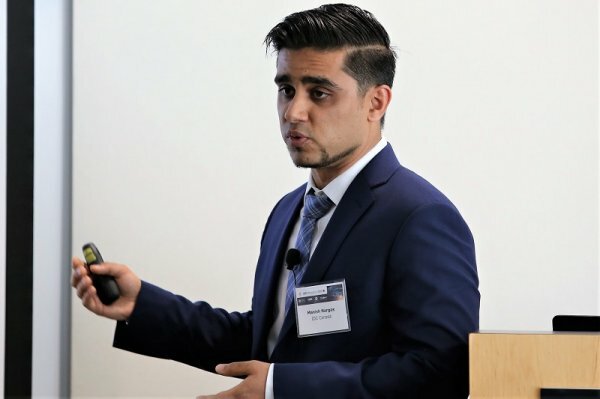 Prior to joining the Consumer and Mobile Research team, Manish delivered in-depth analysis of the burgeoning Additive Manufacturing market from a Canadian perspective with IDC Canada. 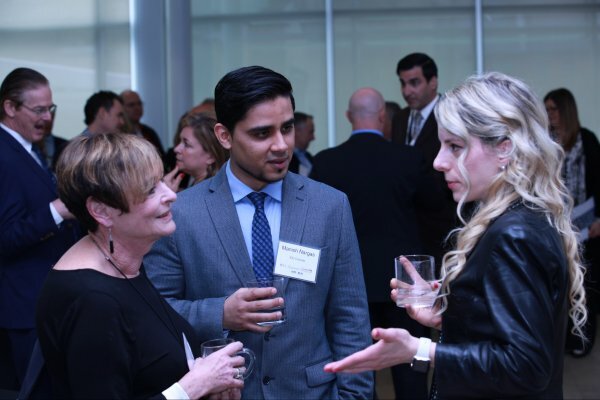 With an Engineering specialization in Telecommunications and a MBA in management of technology trends and innovation, Manish provides a unique lens on the Canadian consumer services and technology markets. Are Smart Speakers the next must have for Canadian connected consumers? IDC Canada releases 7 market forecast documents, including Canadian Consumer Wireless, Internet, and Wireline Voice Services Forecast, 2018–2022 (IDC#CA42528118). Comments from Emily Taylor and Manish Nargas. Cook's agenda during his surprise visit to Toronto is heavy on meetings with developers and coders, but he has also made students a priority. 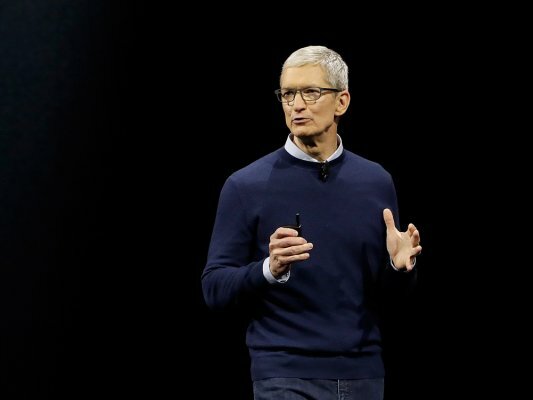 Apple CEO Tim Cook took in a demonstration of Canadian e-commerce platform Shopify’s augmented reality capabilities during a visit to Toronto, while touting his company’s investment in the emerging technology. 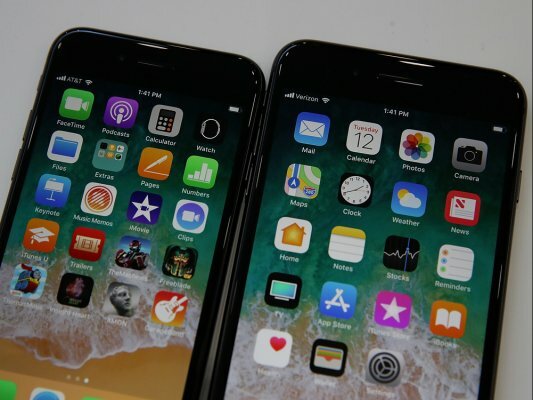 TORONTO — Rogers Communications is using one of Apple’s newest smartphones, the iPhone 8, as a bargaining chip as it seeks to get customers to sign up for select service plans over the busy holiday shopping period. 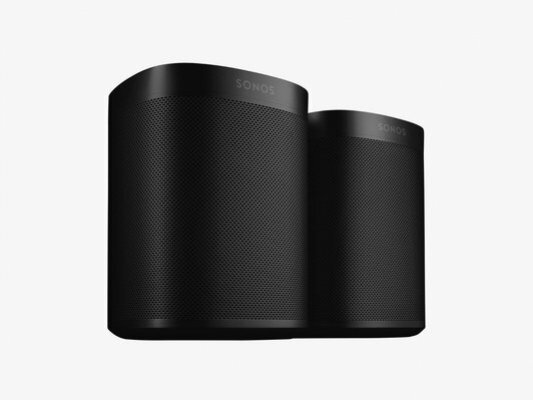 A combination of high consumer interest, low price points and aggressive marketing means a lot of smart assistant speakers have already been bought this holiday season and more will no doubt be snapped up by the end of the week. 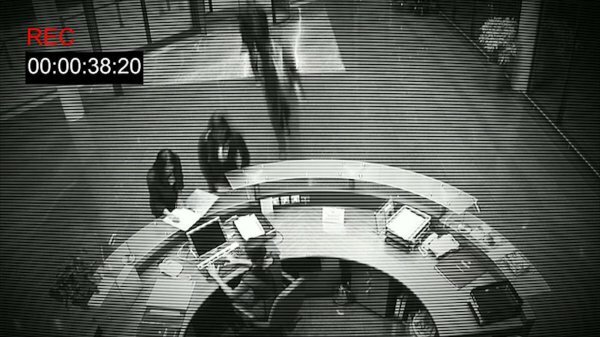 The Toronto-area dental office didn’t know it but the security camera in its waiting room was being streamed live on the Internet. Anyone could log on to the website and watch as patients came and went. Front-desk staff answering phones and working on their computers entering patient information. It could be a serious breach of patient privacy. But it’s more than that – unsecured cameras also leave the entire network open for virtual intruders. The proliferation of internet-connected home devices such as thermostats, baby monitors and fridges is creating an ever-expanding interconnected web known as the Internet of Things, or IoT. But security and legal experts warn that machine-to-machine communication is creating a new level of risk — by providing hackers with new vulnerabilities to exploit. could have a positive impact on consumers. A new report from IDC says virtual reality spending is set to hit a half-billion dollars in 2017. 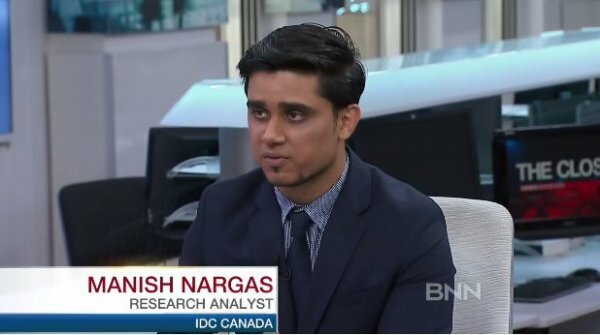 For more, BNN is joined by Manish Nargas, research analyst, Consumer and Mobility, IDC Canada. 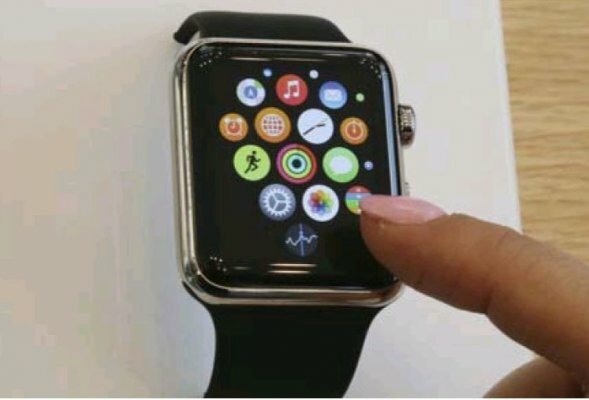 Is Apple Watch Out of Time? Manish Nargas, a research analyst with IDC Canada, says it’s too early to draw conclusions about the first Apple product since the iPad. “I don’t think you should see Apple smartwatch sales slowing down right now as an indication that the market is in trouble,” he said. This IDC Survey presents findings from IDC's recent consumer surveys on the TV services, wireless, internet, and OTT video markets in Canada. Results presented outline consumer perceptions about and the current state of the TV, wireless, and internet services markets in Canada, discussing service provider satisfaction and recommendation metrics, interest in and usage of new next-generation services, and pricing nuances and bundling. Cuts by various demographic and service factors (age group, region, and others) are shown where relevant. This document is useful for market intelligence roles, product managers, and product marketers who seek to understand the state of the TV, wireless, internet, and OTT video services markets in 2019, consumer plans for these services, and new end-user behaviors and intentions. 61 years old this year - The Consumer Electronics Show (CES) in Las Vegas continues to be the quintessential 5-day deluge of all things consumer tech. From AI bots as Co-hosts to smart fishing rods. Consumer tech's market heavyweights and newest/brightest stars showcased concepts, products and their vision for a connected consumer future. This IDC study presents a forecast of subscribers and transactional clients of paid OTT video services for annual strategic planning. The purpose of this study is to help marketers, product managers, and policy makers gain insight, validate decisions, and make course corrections. This document offers an industry update. Actions to consider are presented for OTT video service providers and broadcast distributors. "In 2018, global OTT video services stamped their authority as not just digital content distributers but as creators of some of the industry's most acclaimed content. It is with the same authority that they continue to claim their grounds," says Manish Nargas, analyst for Consumer Services and Mobility. "With almost 24 million subscribers and transactional clients of paid OTT video services in 2018 alone. IDC Canada forecasts that the overall paid OTT video market will continue to grow at a steady pace over the next five years, albeit tempered due to rapid decline of transactional OTT clients and marred by some significant service price increases." This IDC Market Presentation provides a Canadian perspective of the current market and future trends for consumer smart home (or connected home technologies) in 2018. It includes recent consumer survey data coupled with industry analysis, detailing consumer interest, ownership, usage, satisfaction, future potential, and key consumer dynamics for the emerging consumer smart home in Canada. A broad range of devices are included in this document, including insights on connected personal health and fitness, connected home automation, connected home security, and smart assistant devices. Further, do-it-yourself (DIY) and managed services are discussed, as is device proliferation in Canadian households. This Market Presentation key insights to assist both vendors and service providers in navigating this nascent market in Canada. This IDC Survey document presents findings from IDC Canada's recent consumer surveys focusing on mature hardware — mobile phones. The showcased data highlights consumer interest, ownership, usage, preferences, and future potential for purchase of mature devices. Further, the document also outlines data on brands, purchase channels, and the key top of mind devices for Canadian consumers. Additional insight is provided through additional demographic comparisons where relevant. The data presented in this survey is useful for market intelligence roles, product managers, and product marketers that seek to understand the buyer behaviour of Canadian consumers for the mature hardware mobile phone market. This IDC Survey presents findings from IDC Canada's recent consumer surveys focusing on consumer wearables (such as, smartwatches, hybrid watches, or wrist-worn fitness tracker) in Canada. The showcased data highlights consumer interest, ownership, usage, preferences, and future potential for purchase of mature devices. Further, the document also outlines data on brands, purchase channels, and device behaviour for Canadian consumers. Additional insight is provided through additional demographic comparisons where relevant. The data presented in this survey is useful for market intelligence roles, product managers, and product marketers that seek to understand the buyer behaviour of Canadian consumers for hardware devices such as wearables. This IDC Survey document presents findings from IDC Canada's recent consumer surveys focusing on mature hardware categories, specifically PCs (laptops and desktops) and tablets. The showcased data highlights consumer interest, ownership, usage, preferences, and future potential for purchase of mature devices. Further, the document also outlines data on brands, purchase channels, and the key top of mind devices for Canadian consumers. Additional insight is provided through additional demographic comparisons where relevant. The data presented in this survey is useful for market intelligence roles, product managers, and product marketers that seek to understand the buyer behaviour of Canadian consumers for mature hardware devices. 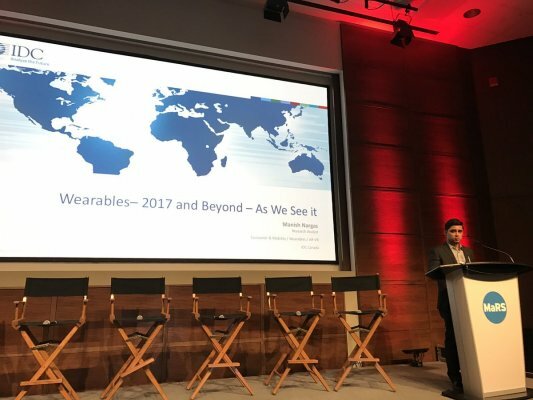 This IDC Market Presentation provides a Canadian perspective of wearables technologies in the enterprise in 2017. It provides insight into the level of adoption and interest in wearables technologies, views as to what is shaping the wearables markets in the enterprise across the different form factors prevalent today, and details as to which industries are expected to show the greatest growth opportunity over the next five years along their preferences and the most important attributes for wearables use. Use of wearables in the enterprise is expected to have a significant impact in the Canadian market as the technology evolves, and this document provides a foundational view into the current state and future trends. Results presented outline consumer perceptions and the current state of TV, wireless, and internet services markets in Canada, discussing service provider satisfaction and recommendation metrics, interest in and usage of new next-generation services, and pricing nuances and bundling. Cuts by various demographic and service factors (age group, region, and others) are shown where relevant. This document is useful for market intelligence roles, product managers, and product marketers who seek to understand the state of the TV, wireless, internet, and OTT video service market in 2018, consumer plans for these services, and new end-user behaviors and intentions. This IDC study examines the forecast for Canadian consumer TV service subscribers and revenue. It also addresses the factors shaping the market as well as the key drivers and inhibitors underlying the forecast. "As next-generation cable TV services look to bring parity among TV service provider offerings, the competition for consumers' attention and their dollars will heighten," says Emily Taylor, senior analyst for Consumer Services and Mobility. 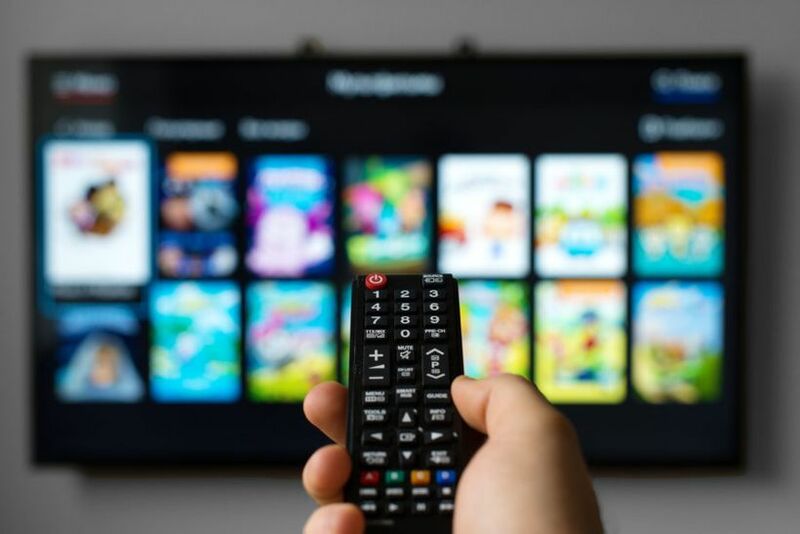 Manish Nargas, analyst for Consumer Services and Mobility, says, "Differentiating service features and substantiating price hikes will be critical in reducing churn and reducing losses in a slowly declining TV services market." This IDC study examines consumer wireless voice and data, residential dial-up and high-speed internet, and residential wireline voice services, and it addresses the current state of these markets in Canada. It provides forecasts for both subscriptions and revenue as well as the key drivers and inhibitors behind the forecast. "As the competition (from potential new service providers and aggressive price plans) for consumer spend toward wireless services in a highly saturated market increases and revenue from legacy residential wireline voice services continues to decline, Canadian communications service providers look to recuperate their large investment made toward technological upgrades of 'cornerstone' residential internet services," say authors Manish Nargas, analyst for Consumer Services and Mobility, and Emily Taylor, senior analyst for Consumer Services and Mobility. 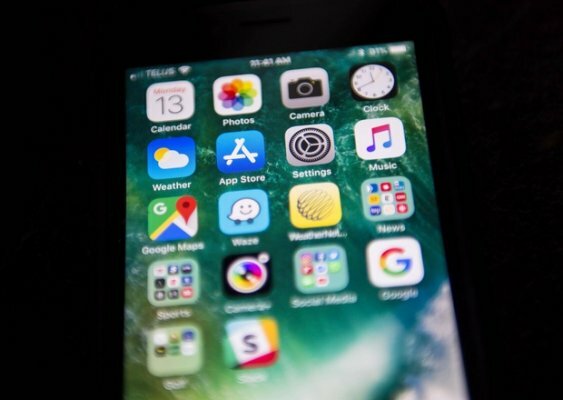 "These significant residential internet rate increases raise the bar for consumer expectations and allow incumbent Canadian communications service providers to set themselves up for success for next-generation communications technologies such as 5G and for the proliferation of next-generation data-intensive services and devices." This IDC study presents IDC Canada's five-year forecasts for communications services spending by customer segment, company size, industry sector, and region for 2018–2022 based on the annual update of IDC Canada's custom Communications Market Model and replaces our previous comprehensive forecast document (see Lawrence Surtees, Nikhil Anand, and Manish Nargas, Canadian Telecom Services Forecast, 2017–2021: Telecom Inside Out, IDC Canada #CA41246217, May 2017). Which industry sectors, customer segments, company size, and regional segments of the Canadian communications services market are poised for growth, and which are the best opportunities for communication service providers (CSPs) over the new five-year forecast period? CSPs continue to face twin challenges of market erosion by new and established entrants in their core markets, coupled with stalled penetration in wireless. The advent and adoption of lower-cost technological substitutes such as SIP trunks and new software-defined wide area network (SD-WAN) data service along with increased wireless substitution will further exacerbate revenue erosion in traditional telecom market segments over the five-year forecast period. This IDC Market Presentation provides a Canadian perspective of the current market and future trends for smart assistant (voice assistant) technologies in 2018. It includes recent consumer survey data coupled with industry analysis and leverages IDC's tracker data to detail consumer interest, ownership, usage, satisfaction, future potential, key consumer dynamics, and the proliferation of smart assistant–supporting devices for emerging smart assistant (and smart speaker) devices in Canada. This document provides key insights to assist both vendors and service providers in navigating this nascent market in Canada. This IDC Presentation provides a Canadian perspective of connected car technologies for consumers in 2017. It provides insight into the current state of the Canadian connected car market for consumers, what consumer intent and plans are for the uptake of connected car technologies, and what the future trends are that are shaping this market. Connected car technologies are expected to continue to evolve over the foreseeable future, and this document provides a foundational view into this rapidly changing consumer market. The Consumer Electronics Show (CES) in Las Vegas continues to be the stomping grounds for the consumer tech market’s heavyweights and the newest/brightest rising stars. 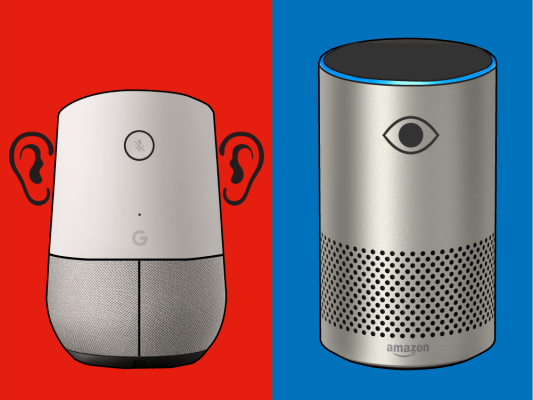 While there was a lot to see at CES (as always), 2018 saw a definitive push for a few consumer technologies namely Artificial Intelligence(AI), Connected/Smart Home devices and Augmented Reality/Virtual Reality (ARVR). This IDC Link summarizes 3 important trends for Canadian consumers to watch. "The past few years have been transitional for the OTT video market in Canada — Shomi shutdown operations, while Amazon Prime Video launched and since established itself as a contender for the OTT video service crown," says Emily Taylor, senior analyst for Consumer Services and Mobility. 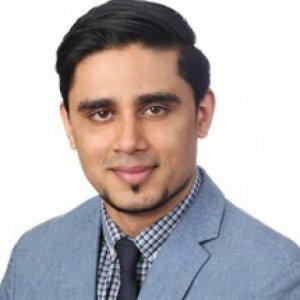 Manish Nargas, analyst for Consumer Services and Mobility, says, "IDC Canada estimates that both subscribers and transactional clients of paid OTT video services will total about 16.3 million by the end of 2017, and growth is expected to continue into 2018 as new service offerings continue to launch in the Canadian market." This IDC Market Presentation provides a Canadian perspective of the current market and future trends for consumer smart home technologies in 2017. It includes recent consumer survey data coupled with industry analysis, detailing consumer interest, ownership, usage, satisfaction, future potential, and key consumer dynamics for the emerging consumer smart home in Canada. A broad range of devices are included in this Presentation, including insights on connected personal health and fitness, connected home automation, connected security, and intelligent assistant (IA) devices. Further, do-it-yourself (DIY) and managed services are discussed, as is device proliferation in Canadian households. This Presentation provides key insights to assist both vendors and service providers in navigating this nascent market in Canada. 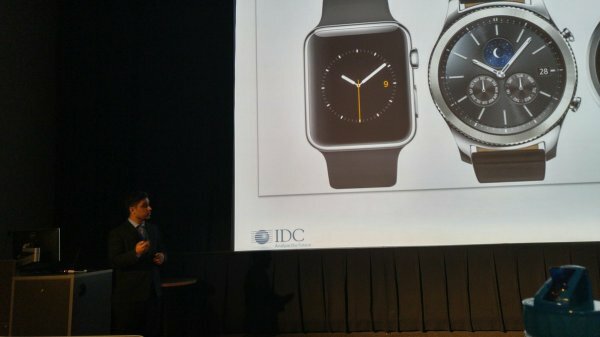 This IDC Market Presentation presents findings from IDC Canada's recent consumer surveys focusing on the wearables market in Canada, along with the most recent shipment and forecast data from IDC's Canadian Quarterly Wearables Tracker. The showcased data presents the overall size of the Canadian wearables market opportunity and highlights trends in consumer interest, ownership, usage, and preferences for these wearable devices and the future potential for their purchase. Further, the document also outlines data on brands, purchase channels, and recent product releases. Additional insight is provided through demographic comparisons where relevant. The data presented in this Market Presentation is useful for market intelligence roles, product managers, and product marketers that seek to understand the buyer behaviour of Canadian consumers toward wearables devices. This IDC study examines the active consumer install base for connected mobility and connected home devices in Canada for 2017–2021 and addresses the current state of this market in Canada. "As more connected home technologies from science fiction of yesteryear become todays reality, IDC Canada believes that, in the short term, Canadian consumers will be drawn to certain 'connected' devices in the hope to solve siloed needs and wants. If connected devices are managed and marketed smartly and strategically, hardware and software vendors as well as communication service providers (CSPs) stand to benefit as we expect the number of devices in the home to increase," say Manish Nargas, analyst for Consumer Services and Mobility, and Emily Taylor, senior analyst for Consumer Services and Mobility. 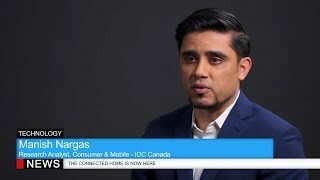 "While whole home IoT may remain be a utopian dream, IDC Canada believes that the number of consumer connected devices in the home will grow by almost 60% by 2021." This IDC Survey presents findings from IDC Canada's recent consumer surveys focusing on mature hardware categories, specifically mobile phones, tablets, laptops, and desktops. The showcased data highlights consumer interest, ownership, usage, preferences, and future potential for purchase of mature devices. Further, the document outlines data on brands, purchase channels, and the key top of mind devices for Canadian consumers. Additional insight is provided through additional demographic comparisons where relevant. This IDC Market Note offers a North American view of the burgeoning earwear category of wearables also referred to in the industry as "hearables." IDC uses the example of two earwear manufacturers as precedent to build on for the devices we hope to see in the future and highlights some key considerations for existing ear-worn wearable manufacturers and those looking to enter the market. "With wearables amassing large-scale acceptance and growing adoption, the focus of the market is shifting toward more meaningful use cases outside of traditionally popular fitness and wellness categories. 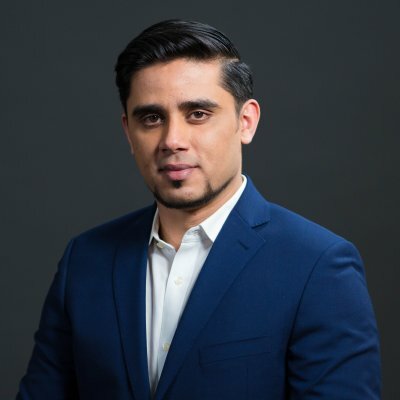 Recent launches of intelligent earwear have laid the foundation for stronger future use cases," says Manish Nargas, research analyst, Wearables, IDC Canada. "IDC expects continued adoption of these smarter next-generation wearable devices for the foreseeable future, especially those that provide additional value by ways of intelligent assistance integration." This IDC study examines the forecast for Canadian TV service subscribers and revenue. It also addresses the current state of cable TV, satellite TV, and IPTV markets as well as the key drivers and inhibitors underlying the forecast. "While a mass exodus of traditional TV subscribers is not on the horizon, OTT services are snapping at the heels of uncentered consumers promising rich content with enhanced flexibility and convenience," says Emily Taylor, senior analyst for Consumer Services and Mobility. Manish Nargas, analyst for Consumer Services and Mobility, says, "TV service providers must be wary of all the forces that could erode their value proposition and must experiment with new services, product offerings, and unique next-generation features to prove their worth if they wish to maintain their subscribers and revenue." This IDC Survey presents findings from IDC's recent consumer surveys on the TV services, wireless, Internet, and OTT video markets in Canada. This Survey is useful for market intelligence roles, product managers, and product marketers who seek to understand the state of the TV, wireless, internet, and OTT video service market in 2017; consumer plans for these services; and new end-user behaviors and intentions. The results presented and discussed show satisfaction and recommendation of Canadians consumers with respect to their TV, wireless, and internet service providers; the key factors that are impacting their service and subscription plan choices; and the future plans for the services. The results also home in on internet activities done by Canadian consumers across devices, as well as the use of streaming video service and 4K TVs. Finally, this Survey provides insight as to average prices for both wireline and wireless services as well as bundles. Cuts by various demographic factors (age group, region, and others) are shown where relevant. This IDC study presents IDC Canada's five-year forecasts for communications services spending by customer segment, company size, industry sector, and region for 2016–2021 based on the annual update of IDC Canada's custom Communications Market Model and replaces our previous comprehensive forecast document (see Lawrence Surtees, Thomas Dyer, Emily Taylor, Steve Yang, and Manish Nargas, Canadian Telecom Services Forecast, 2016–2020: Telecom Inside Out, IDC Canada #CA40658516, May 2016). - Which industry sectors, customer segments, company size, and regional segments of the Canadian communications services market are poised for growth, and which are the best opportunities for communication service providers (CSPs) over the new five-year forecast period? CSPs continue to face twin challenges of market erosion by new and established entrants in their core markets, coupled with stalled penetration in wireless. The advent and adoption of lower cost technological substitutes such as SIP trunks and new software-defined wide area network (SD WAN) data service further exacerbates revenue erosion in key segments. This IDC study examines consumer wireless voice and data, residential dial-up and high-speed internet, and residential phone services and addresses the current state of these markets in Canada. It provides forecasts for both subscriptions and revenue, as well as the key drivers and inhibitors behind the forecast. "Sustaining continual growth in consumer communication services is as challenging as ever," say authors Manish Nargas, analyst, Consumer Services and Mobility, and Emily Taylor, senior analyst for Consumer Services and Mobility. "As the market saturates, service providers look to differentiate similar product offerings to gain market share through unique marketing messages and targeted service bundling. 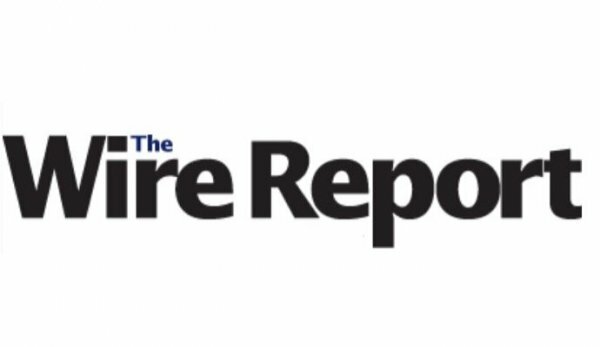 However, providers must be wary as the regulatory environment and imminent technology enhancements threaten to level the playing field through the forecast period." This IDC Presentation examines findings from IDC's recent consumer surveys on consumer interest and buyer behaviour around connected cars in Canada. It highlights consumers' interest in, ownership and usage of, and preferences for as well as the future potential for purchase of car products and technologies. This document is useful for market intelligence roles, product managers, and product marketers who seek to understand the buyer behaviour of the Canadian consumer toward connected car technologies and products. Results presented and discussed highlight the Canadian consumer's current adoption and usage of and interest in/preference toward the different types of connected car technologies available today. Additional insight is provided through comparisons by age demographic where relevant, and more in-depth data segmentation is available on request. 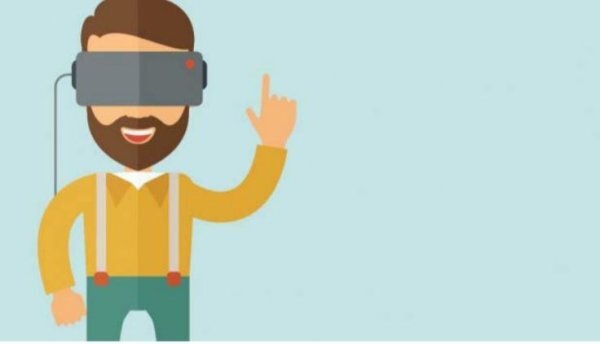 This IDC Perspective looks at the impact that the use of immersive technologies, such as augmented reality (AR) and virtual reality (VR), will have across numerous industries. Vendors (both hardware and software), service providers, and buyers must look for innovative ways to improve efficiency, productivity, and quality by creating/incorporating augmented reality and virtual reality products and solutions. This document is useful for market intelligence roles, strategy managers, and product/solution marketers who seek to understand the future of emerging immersive technologies such as AR and VR in Canada. Results presented and discussed highlight the current Canadian adoption, the size of overall market, and forecast spending toward the different AR and VR technologies. Additional insight and detailed quantitative data is available on request and through subscription to corresponding vendor and buyer data products such as Trackers and Spending Guides. "2016 was an exciting year for immersive technologies such as AR and VR. The many product launches and announcements have raised the expectations for 'blue ocean' and 'red ocean' use cases to come," says Manish Nargas, research analyst, AR/VR. "IDC Canada is excited to monitor the market's evolution as the technology starts to proliferate in a wide variety of industries." This IDC study presents a forecast of existing paid over-the-top video services for annual strategic planning. The purpose of this study is to help marketers, product managers, and policy makers gain insight, validate decisions, and make course corrections. This document offers an industry update. Actions to consider are presented for OTT video service providers and broadcast distributors. "The gloves are off, and while one OTT contender has conceded defeat, the stakes for the remaining few have risen. With Amazon Prime Video, another heavy hitter having entered the ring, the fight for Canadian screen time and pocket books promises to heat up," says study author Manish Nargas, analyst for Consumer Services and Mobility. "Over the next few years, expect more experimentation in OTT models and fresh new content. Consumers stand to benefit the most as providers look for new ways to gain market share." This IDC study provides a segmentation of the over-the-top (OTT) video services landscape in the United States and Canada. The focus is on outlining market segments across long- and short-form online video, providing segment definitions and assessing future opportunities in the OTT video services market. All segmentations reflect only premium or commercial content and do not include user-generated video uploaded for file-sharing purposes. They also don't include illegal or grey market sources of content such as VPN usage or torrent websites. "The OTT video services landscape grows increasingly diverse as multiple monetization models, content types, distribution channels, and audience segmentations contribute to rapid market evolution," says Greg Ireland, research director for Multiscreen Video at IDC. "We are in the midst of a fundamental transformation of the consumer video services market as legacy distribution models are finally being pushed aside." This IDC Presentation presents findings from IDC's recent consumer surveys on consumer interest and buyer behaviour around connected home devices in Canada. It highlights their interest, ownership, usage, preferences, and future potential for purchase of connected home device such as home automation, security, personal health, and fitness trackers. 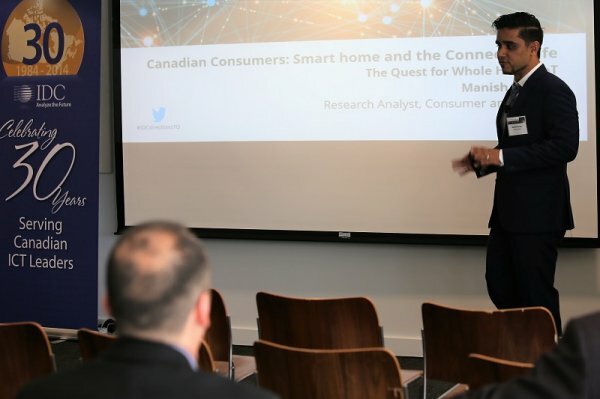 This Presentation is useful for market intelligence roles, product managers, and product marketers who seek to understand the buyer behaviour of the Canadian consumer toward emerging consumer connected home technologies. The results presented and discussed highlight the Canadian consumer's current adoption, usage, and their interest in/preference toward the different types of connected home products available. Additional insight is provided through comparisons by age demographic where relevant and more in-depth data segmentation is available on request. This IDC Presentation presents findings from IDC's recent consumer surveys on consumer buyer behavior in Canada. It focuses specifically on the "millennial" age demographic, highlighting their interest, ownership, usage, preferences, and future potential for purchase of mobile devices such as mobile phones, tablets, and smartwatches. This Presentation is useful for market intelligence roles, product managers, and product marketers that seek to understand the buyer behaviour of the millennials generation, to understand how they differ from general population in their technology habits, and to understand millennial end-user behaviors/intentions. Results presented and discussed highlight the millennial generation's current adoption by brand, their preference of OS and form factor for mobile devices and their future intent toward replacement, and the preferred channels of purchase. The Presentation also highlights millennial's frequency and preference of device based on type of everyday activity. Additional insight is provided through comparisons by age demographic where relevant. This IDC Survey presents findings from IDC's recent consumer surveys on the TV services, wireless, Internet, and OTT video markets in Canada. This document is useful for market intelligence roles, product managers, and product marketers who seek to understand the state of the TV, wireless, Internet, and OTT video service markets; consumer plans for these services; and new end-user behaviors and intentions. This IDC study provides a comprehensive overview and definitions for wearable devices. The definitions provided in this document represent the scope of IDC's wearable devices hardware research. This taxonomy outlines market segmentations and measurement methodologies for the wearable devices industry, including classification by technology, vendor, geography, and revenue metrics. This IDC study provides an overview of key Worldwide Augmented and Virtual Reality Spending Guide product and market definitions. The taxonomy provides product definitions as well as a description of IDC's approach to segmenting and measuring the ARVR market. This IDC study provides a forward-looking five-year forecast update to our previous market forecast, Canadian Consumer Wireless, Internet, and Phone Services Forecast, 2015–2019 (IDC #CA3CIV15, May 2015), which analyzes drivers and inhibitors impacting the consumer services market in Canada. This IDC study provides a forward-looking five-year forecast update to our previous market forecast, Canadian TV Services Forecast, 2015–2019 (IDC #CA6CIV15, June 2015) and analyzes drivers and inhibitors impacting the TV services market in Canada. This IDC study provides the Canadian 3D printing market outlook, including a forecast for the installed base of 3D printing machines by category (desktop and industrial), unit shipments by price band/technology, and the revenue generated through 3D printing systems-related materials and other associated services. The document also highlights key considerations for technology suppliers in this burgeoning and complex market as well as some of the drivers and inhibitors to growth throughout the forecast period. This IDC Flash examines the availability of 3D printing to Canadian consumers, ranging from government initiatives to the 3D printing community of enthusiasts to programs launched by retailers. IDC explores the impact of recent pilot programs launched by Staples and The Printing House (TPH). This IDC study explores Canadian consumer perceptions and adoption of 3D printing technology. The survey, which was fielded in November 2014, asked respondents about their current knowledge and usage of 3D printing, as well as their purchase and usage intentions. The study focuses on active versus passive sources of information, means of accessing a 3D printer, types of materials used, and price expectations. The Essential Guidance section recommends appropriate marketing strategies.